We just punched up the all new Decal Pack. This one is ready to download away. Featuring 18 different decal schemes, you will find all kinds of great print ready decals to add to your favorite parkjet, all for $1. Like all our Plan Packs, this download is available to everyone, no membership required. Of course, if you have a membership, this one would be available for no charge. We are excited to announce the introduction of the all new Plan Packs! These single downloads give you THREE great plans for a $1, and there is no membership required. Just select your Plan Pack, add it to the cart and download away! As many of you know by now, the decade old Parkjet kit producer 6mmFlyRC closed their doors last month and stopped shipping out kits due to the difficulty of obtaining locally sourced Depron and a general slow down in the kit business in everything not "drone" related. As you all know, Parkjets was founded over 15 years ago as a resource for builders out there, a place where all the best parkjets plans were collected, organized, and made ready for you to download. All so you can get to building. Now, Parkjets is a membership site! Guys, we know ourselves. Many of you haven't even put together a Christmas list for your loved ones so they are likely strolling the local malls and big box stores looking for something that might catch their eye. That's why we men end up with cartoon character ties, wool socks, and some tool that we likely will never use. And that's on a good Christmas. A bad year we are looking a tin of popcorn and underwear. Don't let this be a bad year. So we are here to help you out. Just forward this E-mail to whoever to clue them in on a couple of ideas. 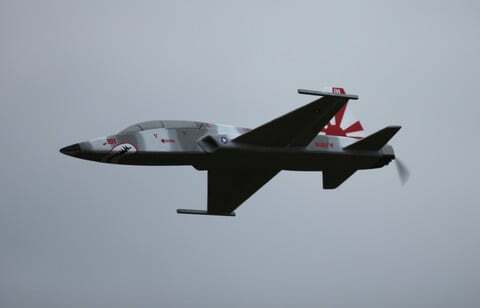 For those of you that have been with Parkjets for a while now, you know that our main sponsor, 6mmFlyRC.com offers some really cool kits for many of the designs right here on Parkjets. As a way to celebrate small business, and 6mmFlyRC is a small business, they are offering our followers/subscribers $5 off any of their kits, both full fuse (Original Series) and the profile style (Quick Build) parkjet kits. Now, I'm told that in the nearly 10 years that 6mmFlyRC has been offering kits, they have never done a discount for anyone, but starting now, through the last minute of May, you can get a sweet $5 off. A customer of 6mmFlyRC sent over some pictures and we thought we would post them to show off some of the best craftsmanship on a foam model you will ever see. Rafal is from Poland, which only highlights how global the hobby of RC flight is, but he clearly takes his models to the next level. 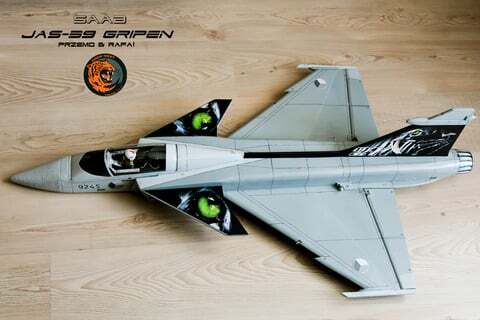 By incorporating killer decals, etching in panel lines, going through the extreme detail in the exhaust and every other part of the plane, he takes a standard kit from 6mmFlyRC (free plans here of course) and takes it up several notches. By making drop tanks, different under wing ornaments, this is the best example of taking the hobby to a new heights. Remember, if you have any photos or video of your model in action, send them on over and we will share them with the world! Check out the photos and begin to drool! We just added in a new resource for new flyers from the good people of Make Magazine. We have always loved the publication and have done a few of the projects on the weekend. So we were thrilled when we say they put together a 12-part series on RC Flight. The entire thing is quality video, with great explainations and plenty of tips. And the best part about it, its totally free. From servos, receivers, covering foam, to free plans for a good trainer, Maker Hangar provides a good foundation for new flyers. Go ahead, check it out, watch a few videos and soak it all in. 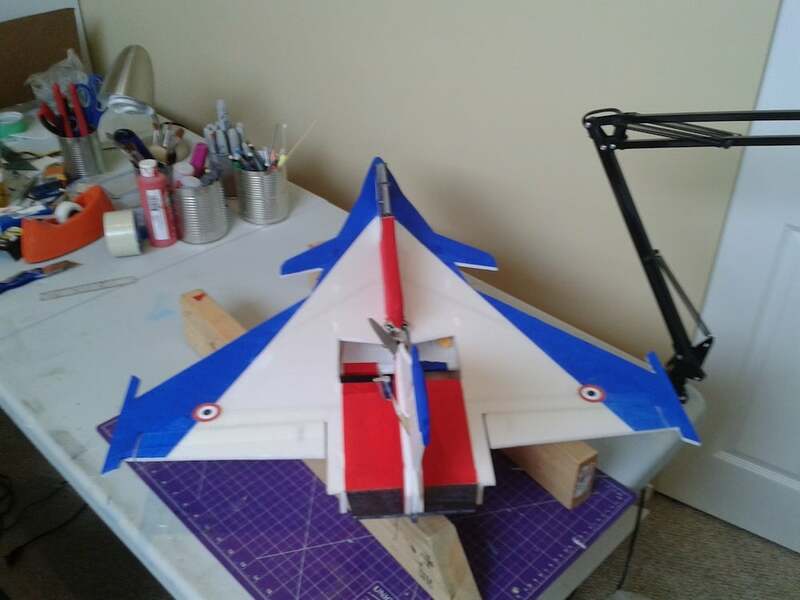 We had a member of the RC Community out there submit some pictures and video of his version of the Mike Jackson Dassault Rafale profile style parkjet. So we thought we would get them posted. This is an excellent plan, inspired by the designs of Tomas Hellberg, that provides a great platform for a parkjet. The large delta wings, large control surfaces and simple set up, coupled with a mid-motor mount design make for an easy to fly and build jet.